It looks like beets may be the new hip vegetable this season (bye, kale), showing up in everything from salads and slaws to beet burgers and hash. 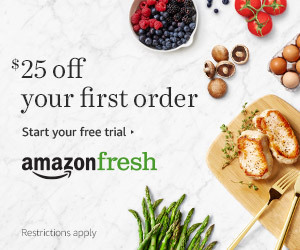 Don’t know what beets are or how to eat them? We didn’t really, either…’til now. They are available year-round, which means they are cheap and easy to find. You can eat the green stems AND the actual beet. Just treat the green, leafy part like spinach. You’ll get loads of calcium, iron, and vitamin A and C.
Beets are a good source of folic acid and fiber, and can help detox the liver…AKA add them to your morning-after brunch. Their bright purple color is pretty AND that pigment may actually help to prevent cancer. Also, beets are just awesome. Says Dwight Schrute. It’s better to buy beets with the green leaves still attached, but you can’t find any, just make sure the beet is bright purple, smooth and firm. With the greens attached, beets can be stored in the fridge for a few days. With the stems removed, they can last up to four weeks in the crisper drawer of your fridge. Beets can be steamed, roasted or eaten raw (for the sweetest taste). 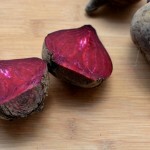 When steaming or boiling, leave the beets whole and unpeeled. After they’re done cooking, the skin will be easy to remove. If you’re roasting them, peel and cut the beets into small chunks. Be careful—the juice can stain! The post Beets 101 originally appeared on Spoon University. Please visit Spoon University to see more posts like this one.